Weight: 21.68 g.; 31 mm. 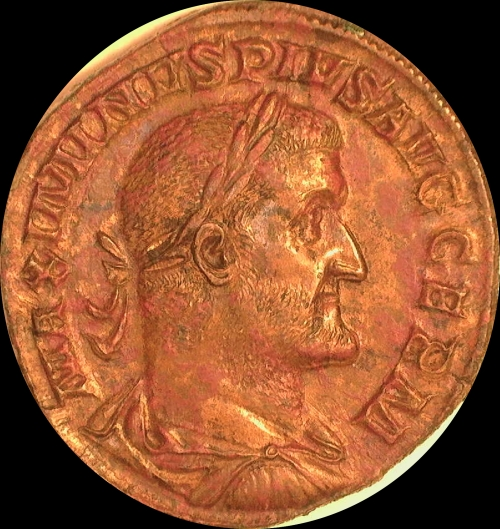 Maximinus I, Sestertius, Rome, 236-8, 21.68 g., 31 mm. Obv. Laureate, draped and cuirassed bust right, MAXIMINVS PIVS AVG GERM. Rev. 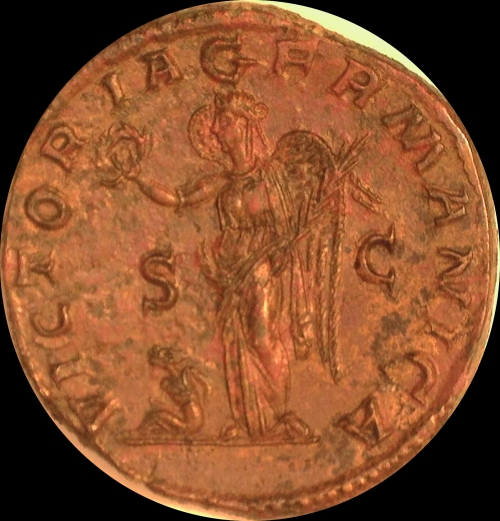 Victory standing left, holding wreath and palm branch, captive seated to left, S C in field, VICTORIA GERMANICA around. RIC 90; C. 109; Sear 8341. Extremely fine w reddish brown attractive patina. $6K. Provenance: L. Vierordt Collection, Jacques Schulman Auction 139 (Amsterdam), 5 March 1923, lot 2098; bt Baldwin March 1937.